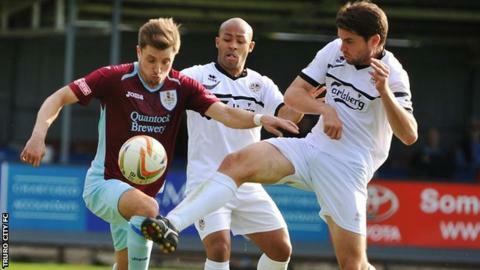 Truro City are through to the third qualifying round of the FA Cup after beating Taunton Town 3-1 in a replay at Treyew Road. Ryan Brett opened the scoring for the hosts in the first half, but Jordan Rogers equalised soon after. Craig Duff put City back in front and Aaron Pugh got the third before Isaac Vassell missed a late penalty for City. The White Tigers will now face fellow National League South side Margate on October 10 in the next round.